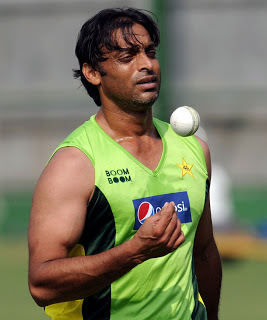 Pakistan's Pace Star Shoaib Akhtar has not played last two matches in this World Cup and he was replaced by another fast bowler Wahab Riaz who failed to do impressive bowling in these two matches and got only 1 wicket. After bad performance of Wahab Riaz Former Cricketers, Experts and Public are demanding to Include Shoaib Akhtar in Pakistani team in big match against India on 30th March 2011. If we see the past performance of Shoaib Akhtar against India its Impressive and when Shoaib plays in India his performance improves even more. Its not yet cleared whether Shoaib will play Semi Final or not? However Shoaib is doing tough training everyday before the Semi Final.